My grandad was one of the last of the first men; one of the last of the surviving first soldiers to step foot on the Normandy beaches and fight. He was in the Royal Engineers during World War II, and one of his most clear memories was sleeping on a dirty chunk of grey pavement in Portsmouth (I know the exact paving slabs and cobbles as he showed me) for three nights in June 1944 before Sir Winston Churchill gave the order for Operation Overlord to commence. 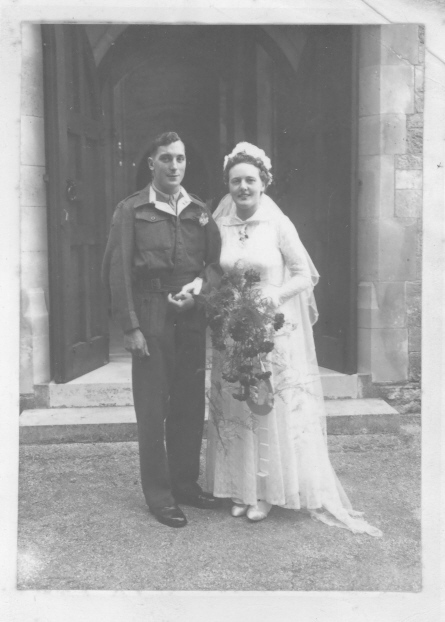 It was then – alongside thousands of others – that Charles “Dumps” Carr, my hero grandad, left the shores of his home to travel and fight on the French beaches, on D-Day, to set Europe free from the tyranny of Hitler. But more about that in a moment, first some things about him as a person, not just a soldier. Grandad has always been an inspirational presence in my life (and my family’s). Since I was very little, when my mum was ill for several years after she gave birth to me, gran and grandad helped bring me up. Back then, grandad always told me stories of his life, like he did right up to the weeks before he passed away. And, looking back now, he was one of the main triggers early on that set me on a course to enjoy telling stories of my own. One particular story he often told, was when he was with a group of young men working in the quarries of Portland during the war. They were excavating materials to build shelters along the coast of Britain, and were busy working away when the air raid siren blasted across the quarry. Grandad remembered looking up and seeing the German bomber planes flying overhead and seeing them dropping lines upon lines of bombs. He and his friends ran for shelter in a mining cave at the corner of the quarry, but there were several people missing. He asked around to see where they were and how to get them to safety, and found that one young boy was on the toilet – an outside, rundown hut with a hole in the ground they used for “doing their business” in – and the boy refused to leave the “john” as he was scared. Five or six other young boys were up on a ridge, and those sheltering in the mine could see them from where they were, out in the open, bombs dropping towards them. Grandad and a friend ran to get the young boy out of the toilet, pulling him across the quarry with his pants around his ankles, dragging him into the mining cave seconds before a bomb hit the quarry, blowing the toilet hut – and sadly the five young men on the ridge – to pieces. These are the kinds of funny-sad stories grandad used to recall about the war, like so many of his generation did. So he had a huge influence on my life, not least because of his stories, but because he showed me how living a simple, loving life can mean you’ve lived a successful life. He met my late gran when they were just 11-years-old, but they only became a couple many years later and weeks before he was called up for duty in the war. Whilst apart, they wrote letters to each other because he was stationed across Europe and away from her for long periods of time. After the war was over, they married and stayed together for 67 years, before she passed away in February 2011. Grandad taught me how to do gardening, and how to love nature; he taught me how to have conviction, motivation and to have respect for other people (especially those older than me); he taught me kindness and how to be caring through your actions towards others; he taught me how to go on wonderful, long cliff-edge walks near the sea and how to fish in rock pools…but most importantly, he taught me how to have a cheeky sense of humour and be mischievous. 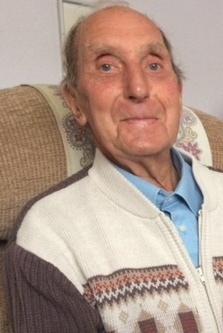 In his younger years, he looked after his two daughters – my late mum and her sister – and became the quiet, stoic centre of our family from his home on a council estate called Pound Piece on Portland, Dorset. He was the firm, strong backbone of our family, a magical forever-granddad I thought was indestructible. He always seemed that way, especially as he only started using his cane to help him walk in the past few years of his life. He still got the bus every day for a ride into Weymouth town centre and a walk around. In fact, just three days before he died he went for a fish n’ chips meal at the Marlboro restaurant on Weymouth harbour – the first time he’d been there since it was made famous by TV chef Hugh Fearnley-Whitingstall – and grandad was quite shocked it cost £7 for a plate of fish n’ chips…one of his favourite meals. So, up until the last hour, his mind was fully active, especially with his great love of football (he used to play for Portland United in his youth) and wrestling, as well as his social visits to his brother Ernie (grandad was one of seven brothers, the last of them to pass away…the last of the first men in more ways than one) every few days. And so what exactly is it I mean by him being the last of the first men? Well, since I was a little boy grandad’s war stories remained pretty vague. Like many others before him, he was a proud man who did not want to share with people the true horrors he saw in those battles for freedom. But, as he got older, the stories he told became more and more detailed, his powers of description, storytelling and recognition truly amazing for a man in his nineties. He hinted often at the fact that he was one of the first men to land on the Normandy beaches because of his specialist role, which was to clear a path through the German frontier (under constant enemy fire) so other soldiers and equipment could move through into battle when they landed. For a long time I had no real comprehension of what this meant, or what his job during the war really was. 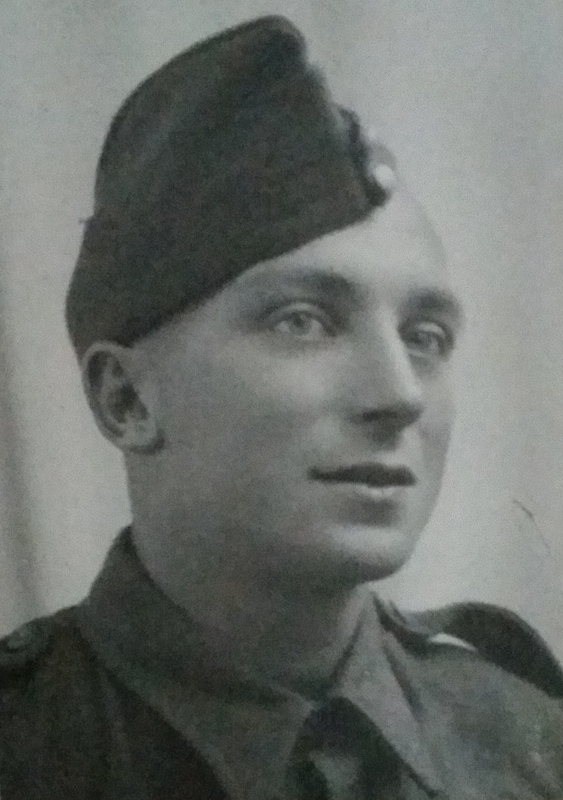 But now he has sadly passed away, I know exactly the depths and heights of bravery my grandad went through because – after some research – it seems he was probably in one of the 1st Assault Brigades of the Royal Engineers. This meant that he was part of the first regiment of men to land on Gold Beach, Juno Beach and Sword Beach in the first two days of Operation Overlord. And, using specialist Winston Tanks and pure, unadulterated guts, they pushed through the frontline, sacrificing more than 50% of their men, to carve a clear path – over mines and barbed wire – for the rest of the army divisions to land into and fight. In other words, what my grandad did was put his life on the line to bring Hitler’s Nazi agenda to an end. This is why I wear a poppy every year, and will continue to do so in memory of my amazing grandad’s personal bravery. You can read more about the specialist unit my grandad was in here. But, more than all this, my grandad was a truly good man. The best of men, in fact. That kind of thing is said a lot, so much it’s almost a cliche, but he was the kind of honourable, amazing man we don’t see much of anymore. I’m really very sad that he passed away so suddenly, and that despite my best efforts to reach the hospital in time, he died about 10 minutes before I got there. 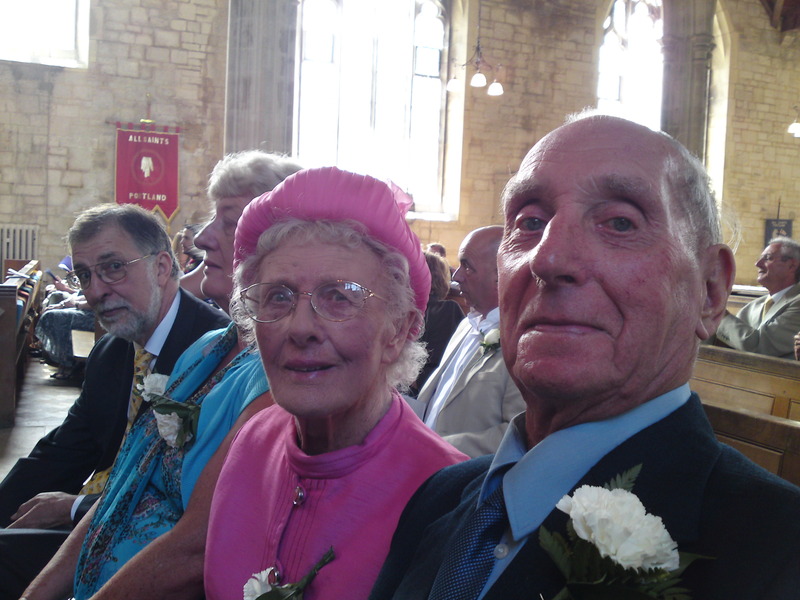 But I can console myself with the fact that – just a few weeks prior to him going – we’d been at my cousin’s daughter’s christening together and, along with all my family, I shared a beer and a great laugh with grandad. At that fun moment, there had been no inclination his life…his truly inspirational story…would be coming to an end soon. Myself, my brother Matthew, my Auntie Maureen, my Uncle Keith, my cousins David and Lisa and all my family are going to miss grandad so, so much. 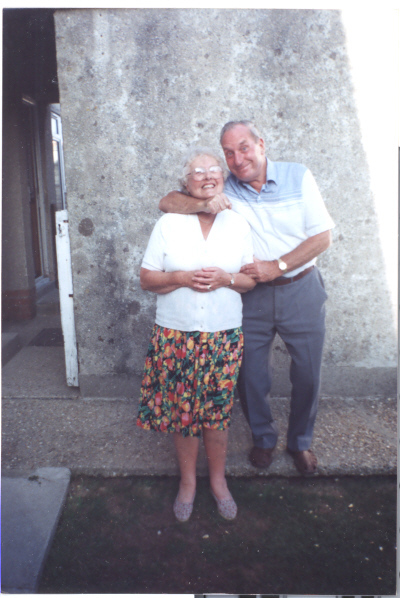 In a way he was such an important link to my late mum that, now that he’s gone too, it feels like a very deep loss. But, I think, after living such a tremendous, brave and fulfilling life, that my grandad maybe felt it was time to be with his wife and his daughter, and now they’re all somewhere else, together, up in the stars.